It took 14 years for Pixar to release a sequel to The Incredibles, and it was worth the wait. 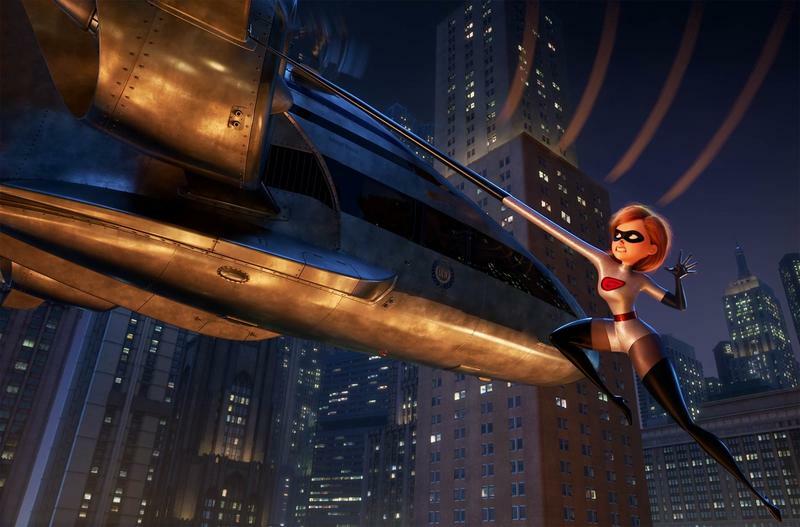 With most of the original’s cast and director Brad Bird returning, the movie picks up right where the first movie left off, with the Incredibles pursuing the Underminer. As you’d expect, things don’t go exactly as planned, prompting the government to shut down the Superhero Relocation Program. This leaves the Parr family without any financial recourse, putting their civilian lives in turmoil. This kicks off what becomes one of Pixar’s more entertaining sequels. This is part of our “Best of” series. For more, check out our Best Videos Games of 2018 and Best Movies of 2018. After a short hiatus, the Incredibles get back into the superhero game. But instead of Mr. Incredible (Craig T. Nelson) going off to save the world, it’s Ms. Incredible (Holly Hunter) who is asked to become the face of superheroes everywhere. She essentially acts as a spokeswoman for a company that hopes to make superheroes legal again. Flipping the script on the Incredibles makes for some truly fantastic entertainment. Ms. Incredible (a.k.a. Elastigirl) gets to show off her heroic persona while Mr. Incredible has to content himself with looking after their three children, including Jack-Jack, a seemingly normal baby who is all kinds of adorable. By restricting Mr. Incredible to being a stay-at-home dad, we realize that parents can be just as heroic as fictional superheroes, whether he’s helping Dash (Huck Milner) with math homework or comforting Violet (Sarah Vowell) in her adolescence. The best interactions, however, come from Jack-Jack and Mr. Incredible, especially when he figures out that Jack-Jack has all kinds of powers. There’s one sequence in particular when Jack-Jack goes after a raccoon that results in one of Pixar’s best scenes of all time. I don’t think anyone would argue with seeing Jack-Jack star in his own feature-length movie. I mean, we got a film about Minions, why not Jack-Jack? Meanwhile, Elastigirl becomes the superhero she was always meant to be after taking a back seat to her husband in the first movie. There’s one sequence in particular that sees Elastigirl zip through a city on a motorcycle, contorting her body in all kinds of ways in an effort to stop a runaway train. It’s reminiscent of Sam Raimi’s Spider-Man, with Pixar using the powers of animation to pull off some truly amazing visuals. The one thing I will say is that Incredibles 2’s villain is just as predictable as you’d expect. The film also feels like too much like a re-hash of the first, despite the roles being reversed. After a 14-year hiatus, you’d think Pixar would’ve come up with a better plot. Still, Screenslaver is one of the coolest villains Pixar has ever introduced. 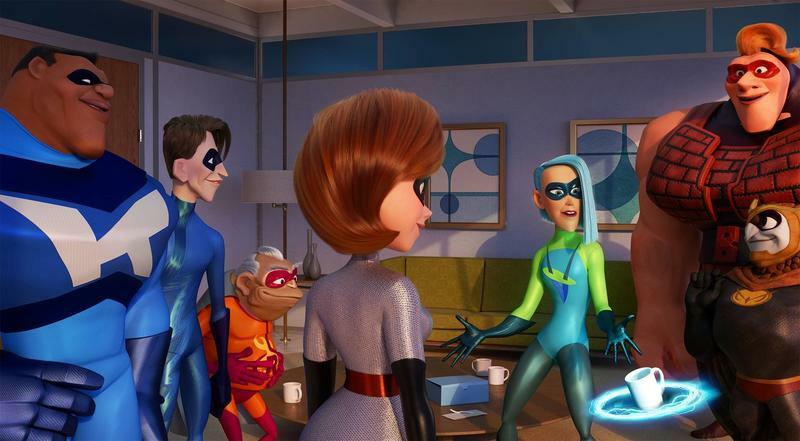 With superhero movies such a staple of modern cinema, the Incredibles family has earned their place on the big screen. If Pixar does plan a third film, hopefully we won’t have to wait 14 years to see it. For more movie news, check out our sister site, TheNerdy.com.